My lovely Knitpro symfonie needles have started to split along the grain, so they’re snagging every stitch as I try to slide it down the needle. Disaster! I’ve had to stop knitting mid-row as it was just impossible. Fortunately, it’s happened at just the right time (if there can be a right time for such a thing! ), as tomorrow I am off to Unravel 2017. 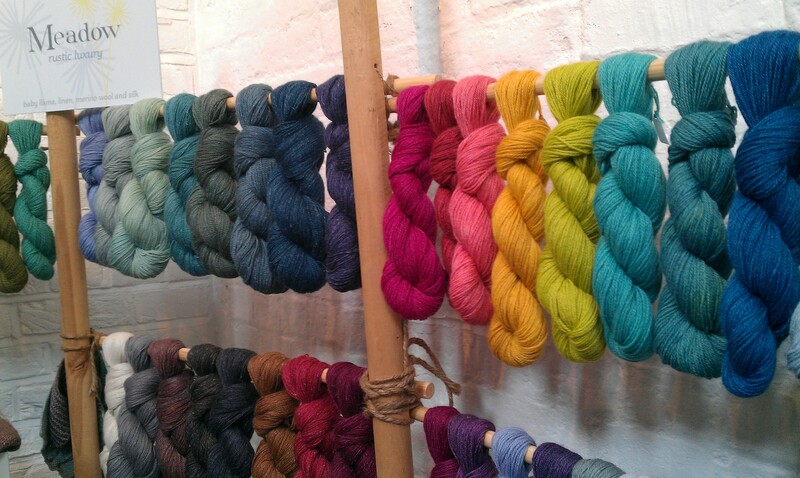 Unravel is the annual yarn festival hosted at Farnham Maltings. I believe this is the 9th year it has run and it will be my third visit. Since I am currently working through my yarn purchase from unravel two years ago, and haven’t touched last year’s purchase yet, my shopping list will be short and sweet. 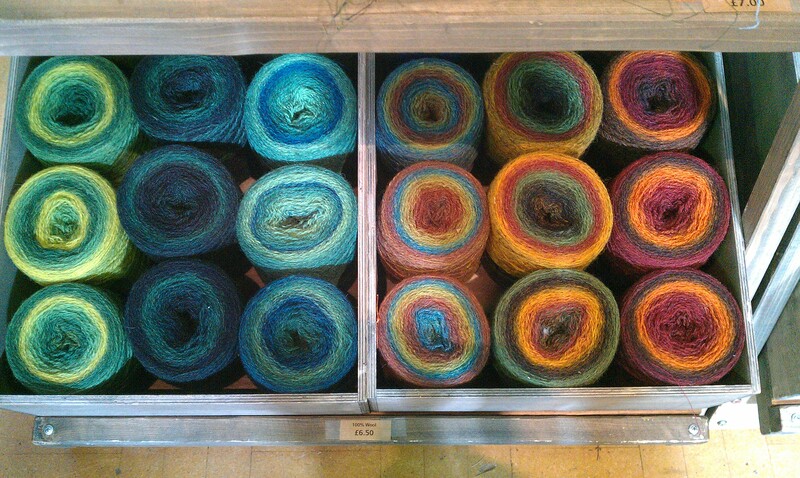 New needle tips and an extra skein for my cardigan. Anything else will be strictly squish and leave only! Anyone else heading to Unravel this weekend? Why is it that when there is stuff you really *should* be doing, like, y’know, packing and cleaning your entire house, sorting, sifting and culling vast amounts of junk and generally getting ready to move house, THAT’s when you most want to just do ALL the crafting? I’m slowly working on my Stripes Gone Crazy. I’m almost down to the first colour change, which is exciting stuff. I’m not 100% convinced my sizing is quite right – it seems like it might come out a little narrow at the shoulders, but I’m not quite sure, so of course I’m just ploughing on regardless. I haven’t quite figured out the problem of not having quite enough yarn yet either, but I think I can contact the seller I bought it from at some point when I’m more sure what I need. I had a great conversation over lunch with a friend the other day, who is just getting started on crochet. I think she’s already a perfectly competent knitter, but she wanted a bit of advice on a new project which I was only too happy to help her with. 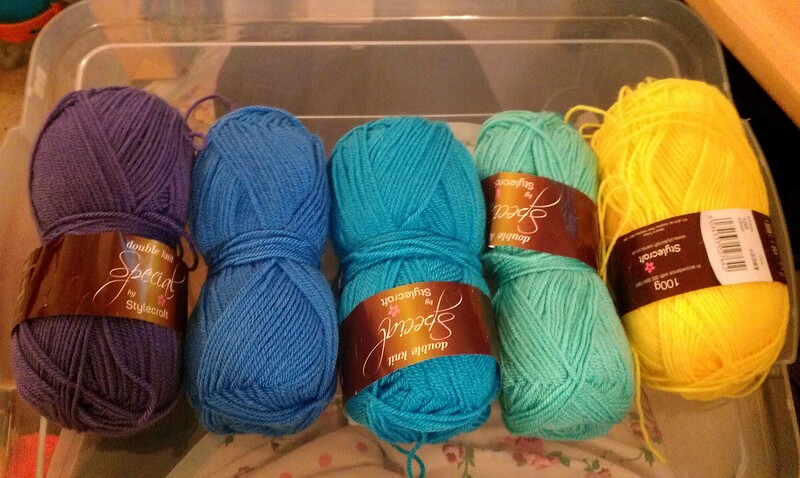 I ended up coming home and immediately casting on (would you say casting on for crochet? Looping on?) 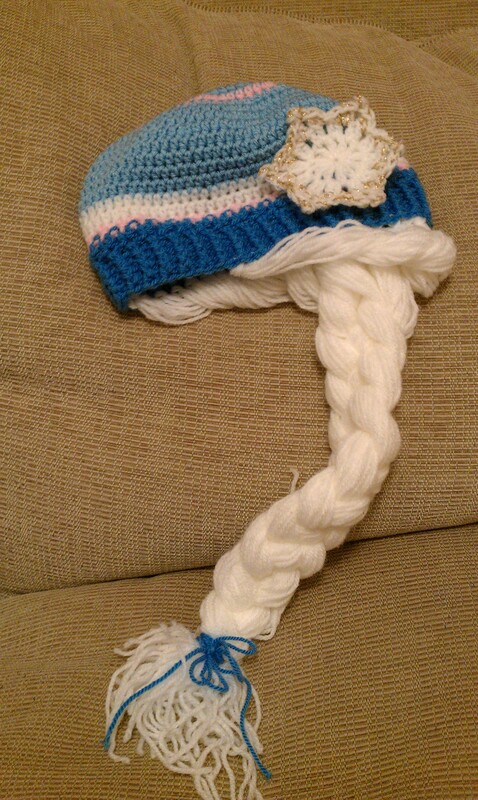 a hat for her little man. She actually wanted booties for him, but they can be part of a set, right!? I’m also hankering after a sewing project or two now. I cracked my sewing machine out briefly in the summer to do a couple of mending jobs. Firstly I searched high and low to find a new backpack for a trip I was taking and couldn’t find anything that was quite what I was looking for, so I fixed up the tear in the top of my old one. Good as new! Then I repaired a couple of worn patches in some jeans. I used iron on patches for one area, but got a little more creative on a hole in the pocket. I placed a small patch behind the fabric and did some long stitches in zigzags to hold it together. It’s not the neatest thing ever, but I quite like the look of it. I’m not sure how much longer this pair of jeans will hold up for though, and honestly, trying to find some new trousers or jeans that I like and actually fit me well is proving to be a tough and tedious job. I’m pretty sure I’ve tried on around 20 pairs of trousers in various shops in the last week. Which has got me keen on the idea of attempting to sew myself a pair. And then there’s cake. Pumpkins birthday approaches, so he’ll no doubt request some crazy cake creation once again. I’m definitely not doing Toothless again! 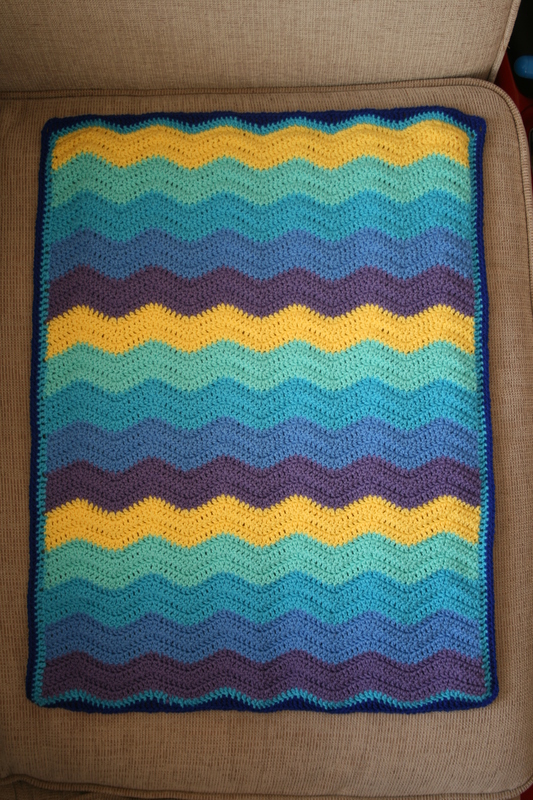 The ripple blanket for Pumpkin’s teacher is finally finished. She goes on maternity leave on Friday, so it’s done with plenty of time to spare. 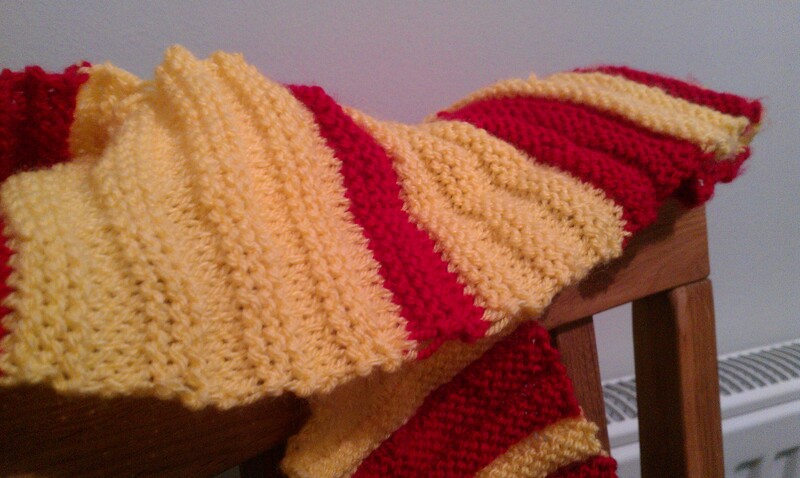 I used the Attic 24 Neat Ripple Pattern as usual, which is such a simple but versatile and striking pattern. I suddenly seem to be back on a yarny kick at the moment. Pumpkin was invited to the super-hero themed birthday party of a girl in his class. I was reliably informed that her favourite colours were also pink and purple, so I hit upon the idea of making a hat in pink and purple, with the logo of a famous superhero, which I imagine is not the kind of combination that is readily available on the highstreet! I found a charted pattern for the logo on Ravelry, and set to work. I’ve never done colour work before, so that was an interesting new challenge. My tension was a bit shoddy, as I struggled to catch the floats in evenly, and so the final logo was a little puckered in places, but overall not a bad attempt. Unfortunately, despite thinking constantly all the way through the knitting process that I needed to get a good photo of it for blogging, I totally failed to snap any shots of it whatsoever, so you’ll just have to imagine how great it looked! Pumpkin was also an utter disaster on the feedback front. He couldn’t give me any indication as to the little girls reaction when he finally gave it to her in class (only a couple of weeks after the party by which I’d intended to have it completed!) . Luckily I stood next to her mum in the pick up queue yesterday afternoon, and she told me it had gone down very well. 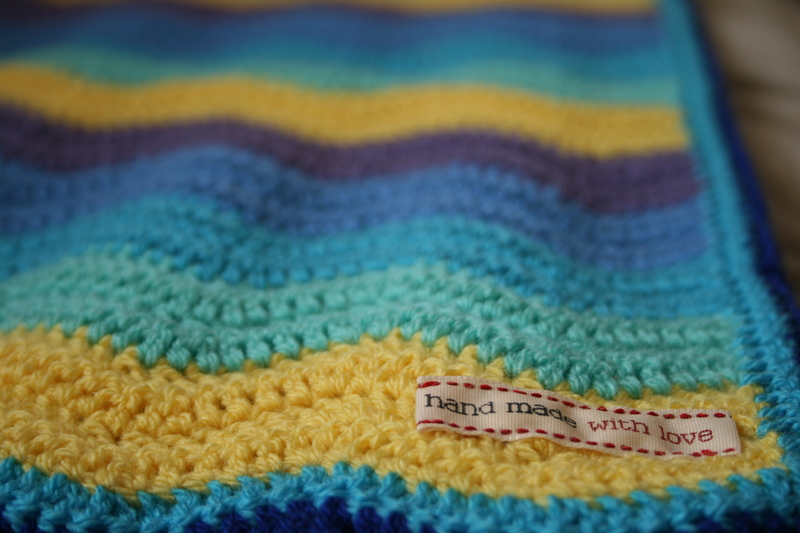 How nice and reassuring it is to know that your handknits are appreciated! I’m not sure how fashionable a crochet tie might be, but a 2 year old fortunately doesn’t seem to mind, and he looked very smart! It’s taken just under a week, and it is finished! I don’t really like working quite so fast – I was hooking in every spare moment I could find, including finishing the edging between scenes at rehearsal last night! – but it’s such a lovely simple pattern that it was easy to do quickly. 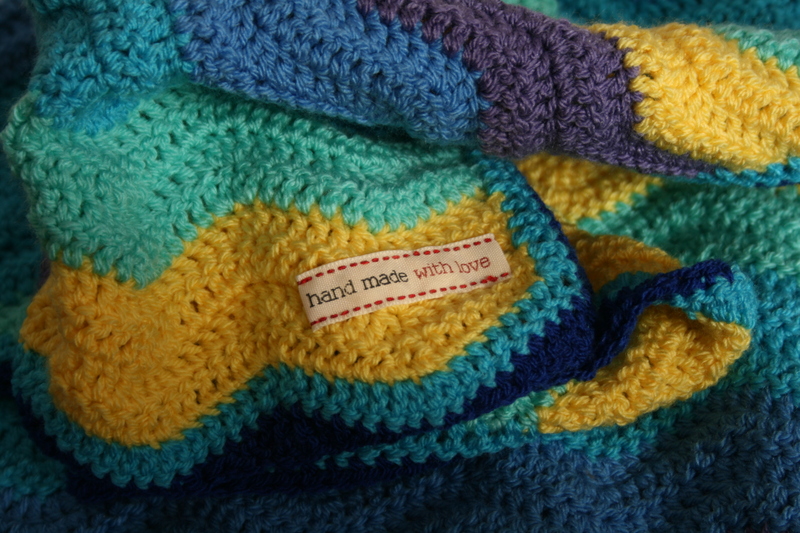 I found a little ‘hand made with love’ label that I sewed onto the bottom corner which just finished it off beautifully. Pumpkin gave it to his teacher at the end of school today. It was rather emotional all round. I think he’s really going to miss her. Pumpkin’s teacher is going off on maternity leave at the end of next week, so I thought I’d better whip something up quick. (Yes, I have known about it for months and I definitely should have started it sooner!) 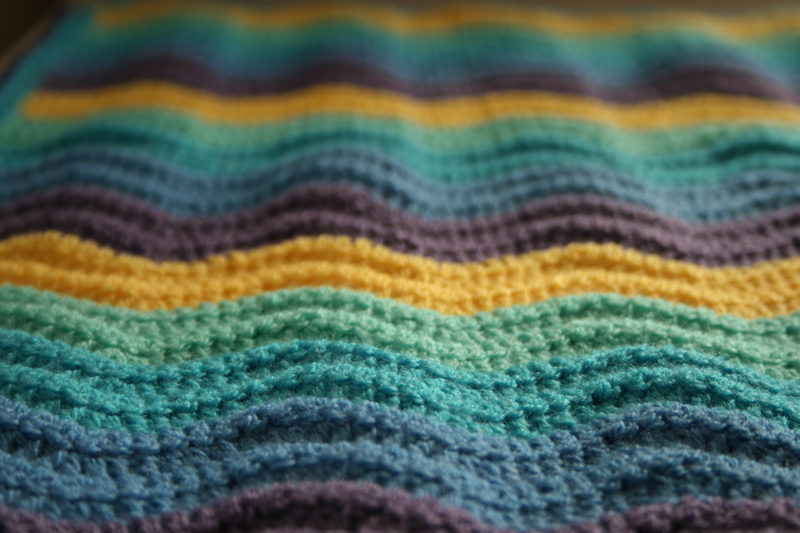 I’ve made a couple of blankets before for Pickle, using Attic 24’s Neat Ripple Pattern and Stylecraft Special DK. Stylecraft is great for baby blankets. Soft and easy to wash, and wears pretty well, and I have plenty of leftovers to choose from. 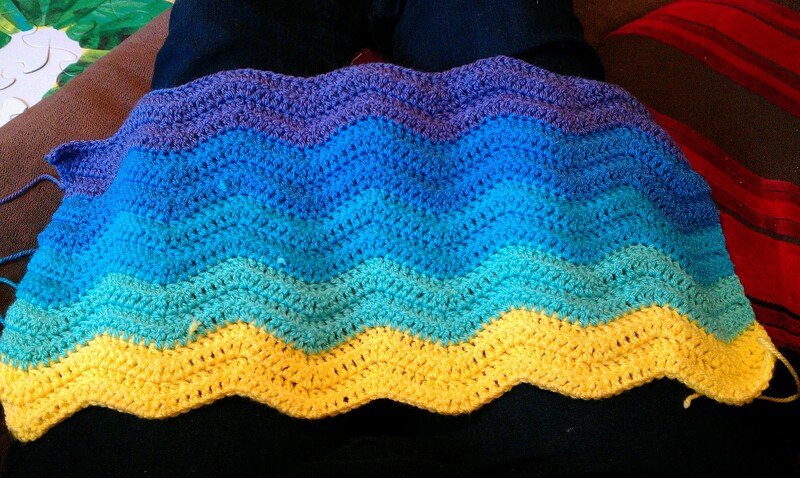 The ripple pattern is simple but effective, rhythmic and relaxing to hook, so the choice was pretty much made for me. I have no idea if she’s having a girl or a boy, so I tried to pick a fairly neutral colour scheme. I’m not the best at picking colours (though a little better than Pumpkin who wanted yellow, red, purple, pink and blue. Or ALL the colours.) but I think these ones work pretty well together. Yellow had to be included as it’s Pumpkin’s favourite colour, and I think it just lifts the others from being too much in the cool blue spectrum. A starting chain of 84 gives a great width for a small car seat or carry cot sized blanket. I began work on it yesterday evening, and a couple of hours this morning has put me at a third of the way through. I think I might just about manage to get it finished in time! Paired with a handmade card from Pumpkin, it’ll be a lovely gift. How do you make colour selections for this kind of project? Do you have any tips or tools that you use to help you? 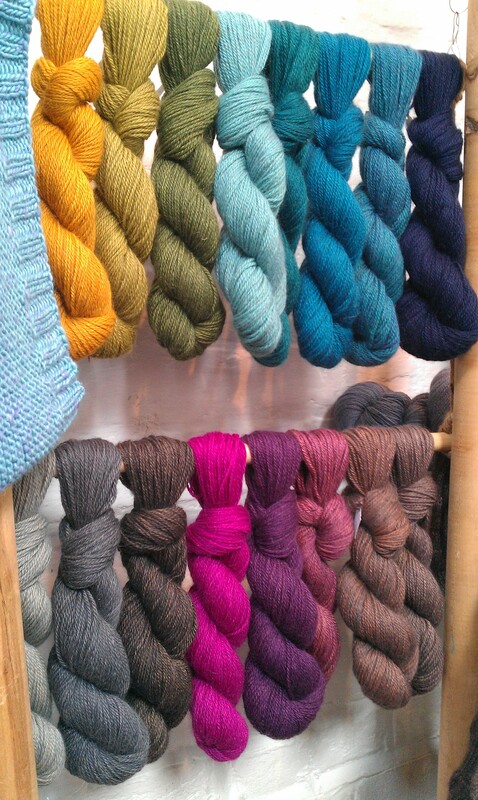 I have never been to a yarn festival before and, oh my! what a feast for the eyes! 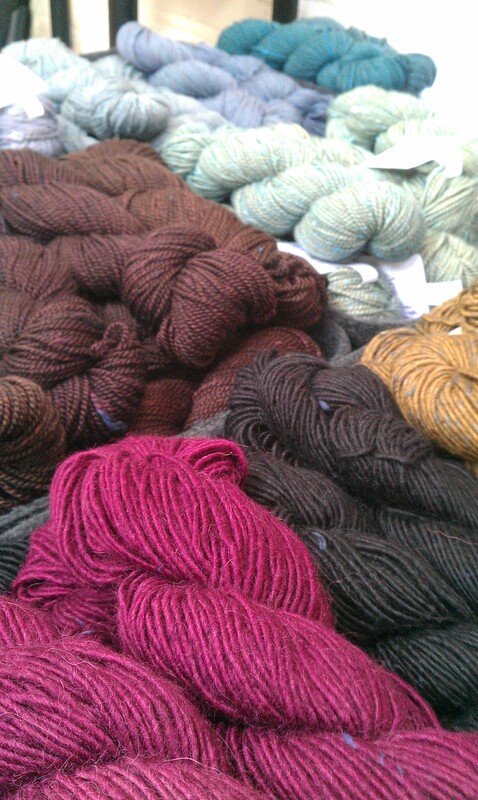 So much gorgeous yarn, and so many stallholders positively inviting us to come in and squish it all. 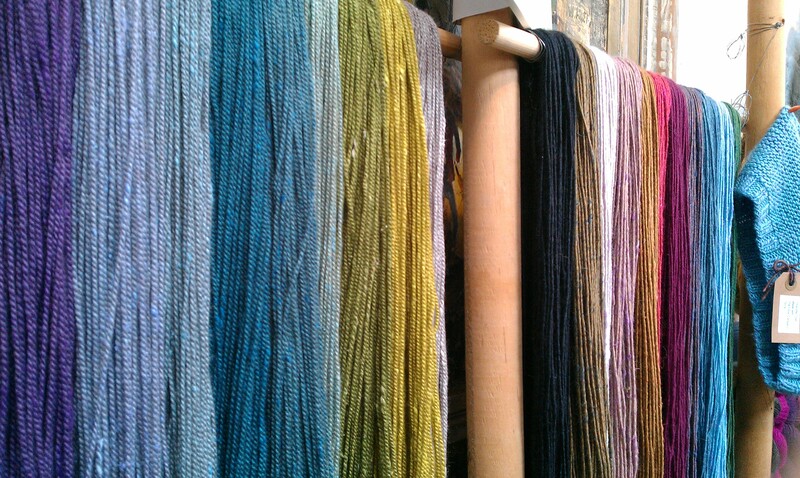 Beautiful patterns, hooks, needles and notions galore, and oooh! buttons! We both felt rather traitorous that neither of us was wearing a handknit anything! We were tempted by many things. 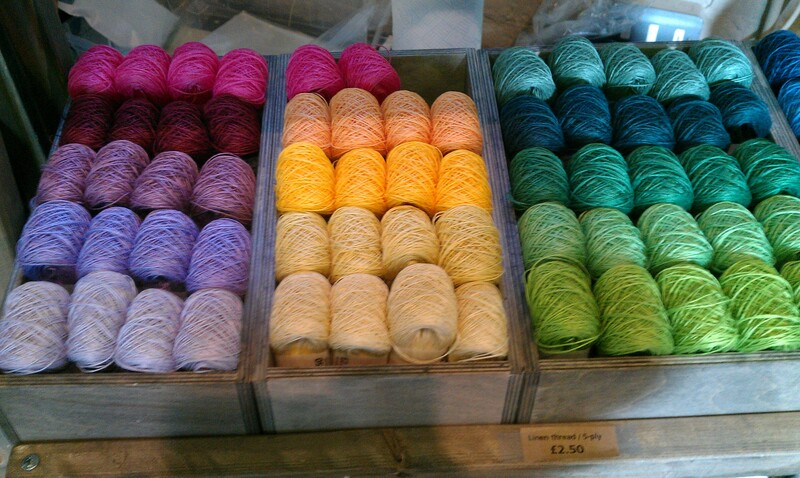 What do you even do with linen yarn? Ooooh I want the whole rainbow! But we were very restrained. I went armed with a shopping list, and Klutz formed her shopping list over a coffee after we’d had a good look round at all the stalls and consulted Ravelry. Klutz, though tempted to branch off into knitting territory, very sensibly stuck to her guns and took a crochet only approach, settling on a gorgeously simple scarf pattern from Baa Ram Ewe and some pretty sparkly sock yarn to make it with. 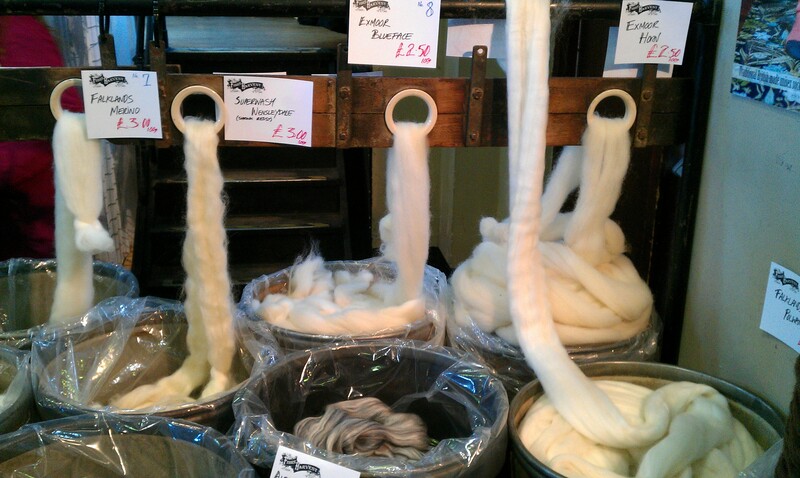 I forgot to mention to her that skeins have to be wound into balls, but a hand-winding lesson over lunch in a nearby pub sorted that out sharpish. 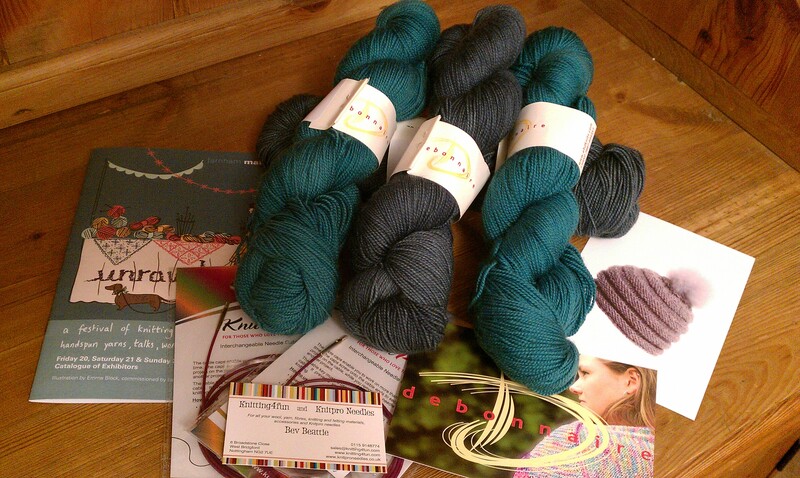 Two skeins of BFL/Nylon Sock in Charcoal, and two of 100% Merino in Teal from Debonnaire for my next project Stripes Gone Crazy, along with a couple of longer cables for my Knitpro interchangeables, and a free hat pattern for good measure. 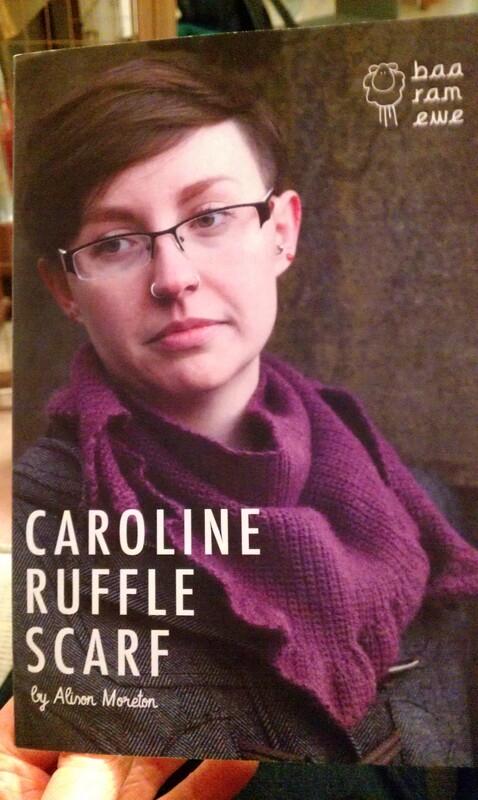 Now I have a real incentive to get my cardigan finished. 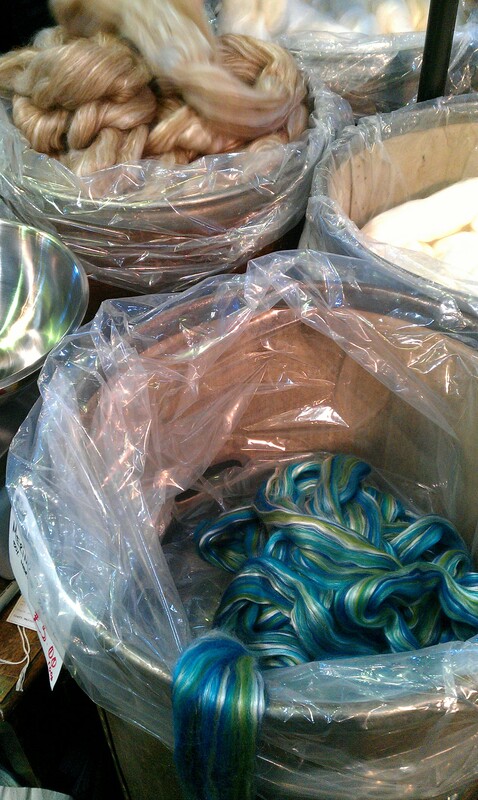 I’m not even winding these babies until I’m done with that one. 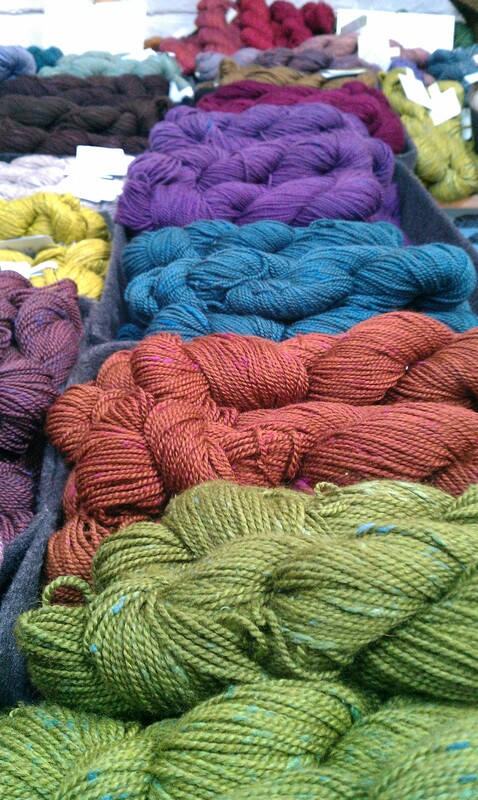 How do you fare at yarn festivals? Do you exercise restraint and stick to a shopping list, or do you succumb to the delights of aaaalllll the pretties? 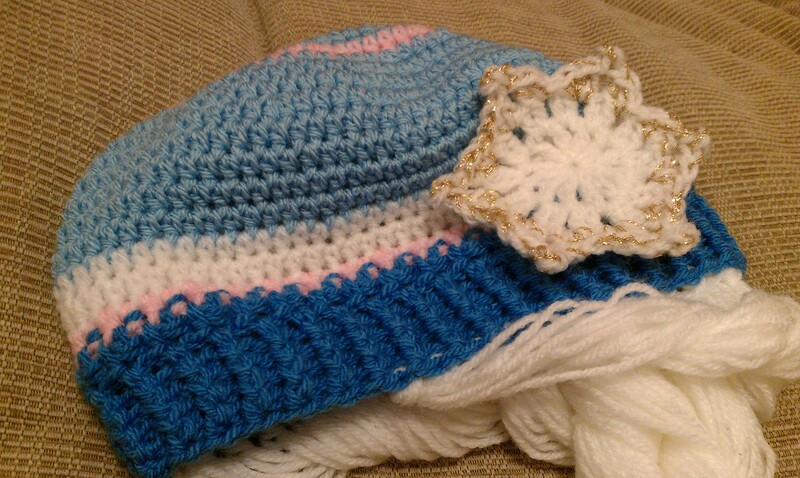 Last week my friend asked me to teach her to crochet. Completely out of the blue. She’s known I crochet and knit for a long time, but I never really thought she was interested in trying it herself. But how lovely to be asked! So off we went on Friday evening and found a cosy corner in a pub, and got to work. I love being able to teach things that I love doing, to people who are genuinely interested. We started with chains and a bit of single crochet and double crochet, and then moved on to Granny Squares. It just seemed right, since that was what my Granny first taught me when I learnt to crochet around 20 years ago! 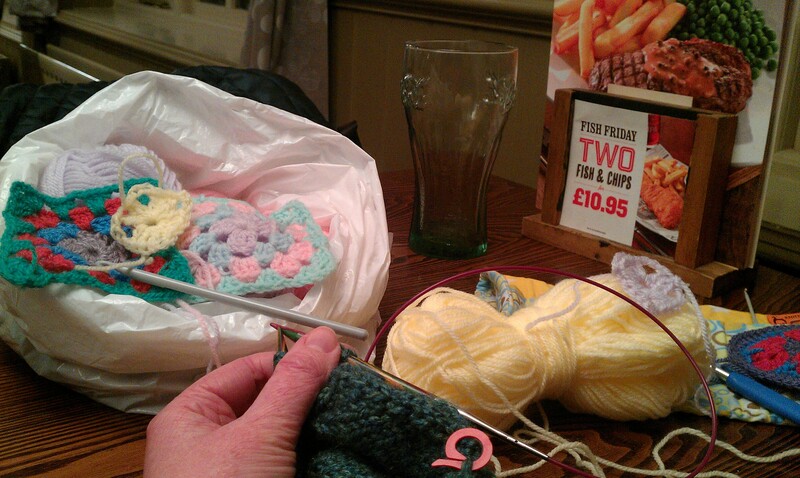 Taking a break from teaching crochet with a spot of knitting while the drinks were replenished. My friend seems to have taken to it like a duck to water, and by the end of the evening she had a granny square with three very neat rounds. She’s since added several more rounds to that original square and has started work on squares for a blanket. I’ll have to start planning another lesson! 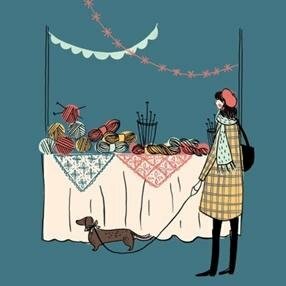 After our lesson, my friend found out about Unravel, a festival of knitting, held in Farnham, which is not far from where we live. I’d heard of it before, but have never been and didn’t realise it was coming up so soon, but we’re hoping to go along together at the end of February. Are you heading to Unravel? What would you pick as a first project to teach a beginner? I haven’t managed to track down any of the Stylecraft Special Aran that I need for my so-very-nearly-finished cardigan without resorting to online purchasing, which may well be a dangerous game, so I’ve moved onto other things. 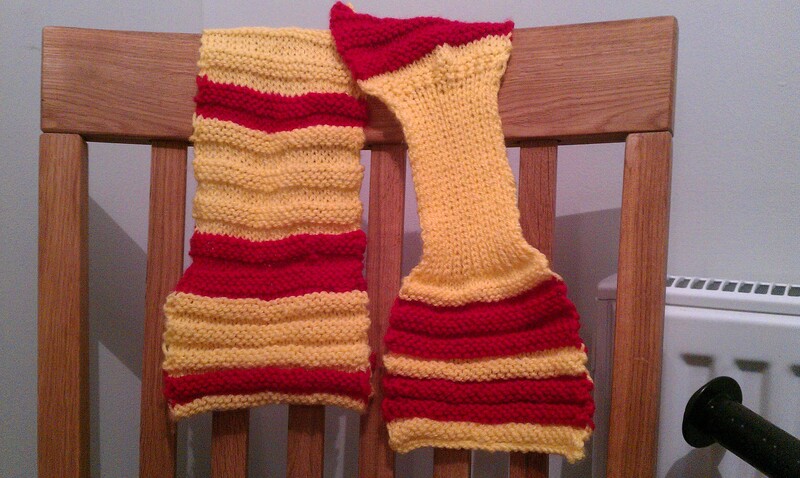 Pumpkin requested a scarf, so I’ve mostly been busy working on that. It certainly won’t win any awards, but the boy seems to like it, so it’s good enough. It’s his favourite colours, and designed with a loop at one end that he can tuck the other end through, which should help to keep it on better than just having it wound around his neck. I did a sort of horizontal ribbing effect which I thought would make it a bit cushier and cosier around his neck. It actually made it quite stretchy, so it’s ended up much longer than I intended, and the narrower section of 1×1 ribbing that was supposed to help keep it in place in the loop actually overshoots it by quite a long way. Never mind. It’s all a learning process. Speaking of learning, does anyone know why the edge of my knitting does this strange thing with one large loop and one loop pulled tight and what I can do to make the edge neater? After the scarf, I ventured back to my crochet hooks and worked on keeping a promise I’d made before Christmas to make an Elsa/Frozen inspired hat for the seven year old daughter of a very good friend of mine. I used pictures on google and pinterest for inspiration, but didn’t follow any particular pattern. I’ve not made a hat for a while, and it took several attempts to get the right combination of stitch type and number of increases to get the shape right, but I got there eventually and little Miss Elsa was really happy with her surprise gift. This cute little ducky fell off my hook next. 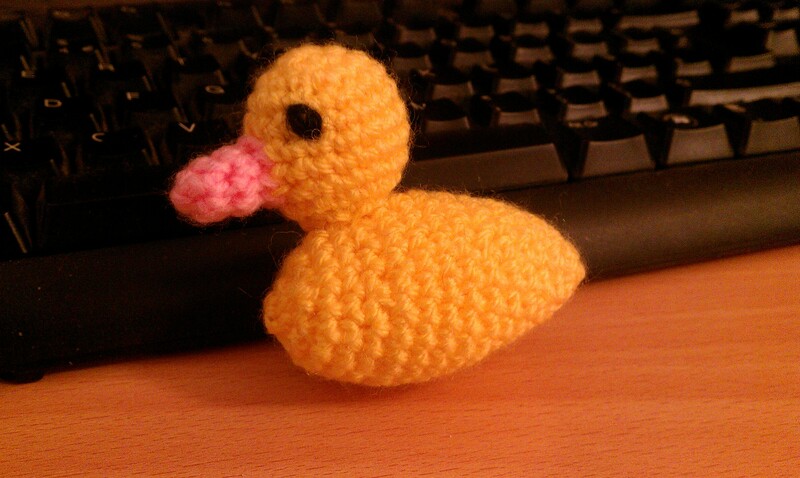 I’m a member of a crochet group on Facebook which sets challenges every month or so, and the challenge for January was linked to The Little Yellow Duck Project (see website here for details). So this little guy just needs a tag (when my printer feels like behaving) and then he’ll be sent off on an adventure somewhere. Now I’m happily settled into the stockinette rhythms of my first knitted hat, and trying to learn the art of knitting without having to watch what I’m doing all the time, so I can watch TV at the same time. Speaking of which, I’m off to watch Castle. Have a lovely evening!